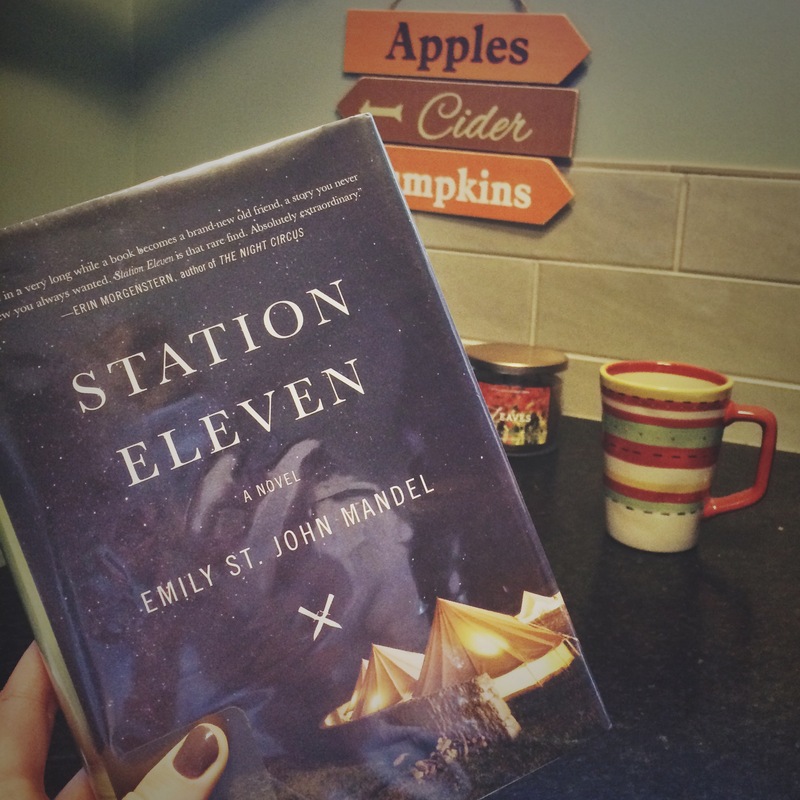 I’m having a hard time deciding how to put my opinions of Station Eleven by Emily St. John Mandel into words. I definitely liked the book; I’m just not sure how much. On one hand, it’s a very interesting story, which centers on a massive case of the flu that has wiped out a majority of the world population and has left those remaining living in shambles. Station Eleven jumps between decades, from before and after the collapse, and focuses on many characters whose lives are interconnected. We have Arthur Leander, a famous actor who dies on stage while performing a play on the evening when the sickness hits Toronto. Then there’s Kristen, one of the child actors performing with Arthur in the play, who survived the sickness and goes on to join the Traveling Symphony. We also have Jeevan, a training paramedic who realizes the epidemic is coming in time to store enough food to save himself. My critique of this book is that I wasn’t able to connect with the characters as much as I would have liked. My favorite books are those in which I feel for the characters, but I don’t think that Mandel went far enough with her character development. They intrigued me, but not enough to make this book a favorite for me. Overall, I liked this book and thought it was a unique choice that’s different from stories that I normally read. I wanted to like the book, but the characters just didn’t appeal at all. It’s back on my TBR shelf to try again some other time. Our reviews are very similar! I agree about not connecting with the characters; my enjoyment of the book was hampered by thinking Arthur was something of a wretch. Plus, too much of the plot centered around very predictable coincidences. I wanted to like this one more than I did. I agree, I wasn’t a fan of Arthur at all! I did like the character who ran the museum out of the airport, but that’s about it! Definitely an example of a book that could have been much more. Glad to see you shared my opinion! And I wish Jeevan’s story had connected back to the main plot line; it would have been much more meaningful if that had happened. Yea exactly! Where did Jeevan go after he wandered off into the world alone? He was a big focus of the story, but seemed so random at the same time! This has been on my reading list for a while now, but I have just not felt that final pull to actually read it… I may have to finally pass on this one. I need a book to WOW me! I totally agree, it was a good read, but there are so many better ones out there! First time reading your blog and I enjoyed it immensely. I’ll look at your “book club” regularlyfrom now on. I liked this book but agree, it was all very interesting but I didn’t really like anyone other than the airport museum dude! I know a book is good is it contains a few characters I’d love to have as friends, and apart from him, there wasn’t anyone. I was very underwhelmed by this one. It had a lot of potential and the writing was fine but, as you say, the characterisation just wasn’t there. And I found the strange decision to tell us at the begining that most of the characters didn’t survive the flu meant that I couldn’t get invested in worrying about them. Yea that’s a really good point. I feel like the book has an intriguing I day, but it wasn’t carried out as well as it could have. I thought that decision was strange too! I really enjoyed Station Eleven, but definitely agree that the characters felt underdeveloped! I think you’re the first review I’ve seen that didn’t have a glowing review about this book. I’ll still read it though just because it’s such a unique concept!